Send your luggage to and from Northampton University with My Baggage! 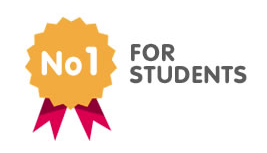 My Baggage is the No.1 student shipping company for Northampton University students. We provide fast, reliable and cheap student shipping services. We help thousands of students every single term! Book online and we will collect your luggage and deliver it to where it needs to go. We offer a door to door luggage shipping service to all home addresses and university campuses. Northampton University, offers students an exciting urban experience. Not only is there plenty to see and do in the vibrant city of Northampton, but it’s also just a short journey from London, Oxford and Cambridge. My Baggage offers student luggage delivery throughout the town of Northampton, including delivery to the university’s new St John’s Halls of Residence in the town centre. No matter where you choose to live during your time at uni in Northampton, My Baggage can help you transport your luggage easily at the beginning and end of term. For as little as £16.99, you can send a box or suitcase weighing up to 30kg on our services. 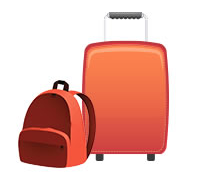 Students can save both time and money when they choose to send their luggage with My Baggage. Our booking system is easy to navigate and only takes a few short moments to complete. You’ll need the size and weight of your luggage, as well as your address details to book. Once you’ve booked, we’ll send you some labels to print and attach to your item. After that, we’ll collect your item and deliver it straight to its destination quickly and safely! If you are in a private house or flat, we will collect and deliver your luggage to your front door. If, however, you are living in halls of residence at Northampton University, we will collect and deliver to your halls’ reception area or designated postal room. Please check this location before placing your order with My Baggage. Simply call your halls or residence to get this information. Super fast shipping times. (Express service available). 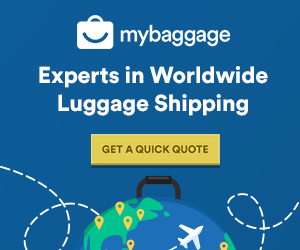 My Baggage offers student shipping throughout the UK and internationally, to and from 200+ countries worldwide – so no matter where in the world you are, My Baggage can help get your luggage to and from Northampton. We can help if you’re an international student coming to Northampton for the first time, or if you’re travelling from Northampton on your year abroad.